Like most of our customers, we love design history and discourse. And while the progression of contemporary design is well documented across various disciplines (architecture, fine art, music, graphic design, etc. 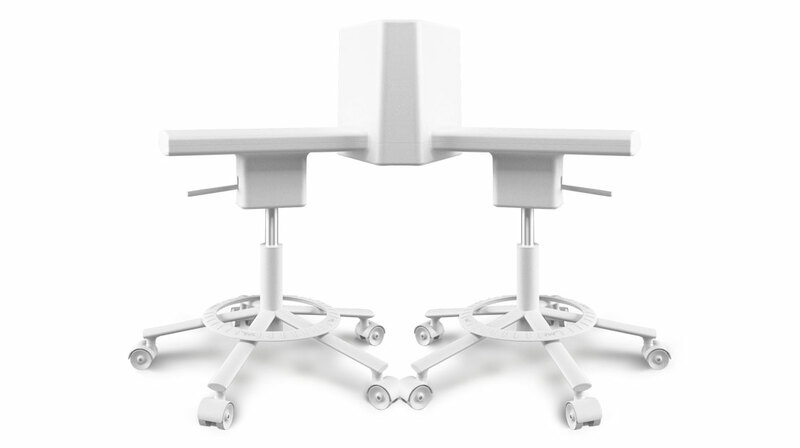 ), a passing internal discussion regarding office chair design was top-of-mind a couple months back. If you have any questions, feel free to let us know! Please keep in mind, we're a small team, so we try to respond as quickly as possible. But please know, your interest is sincerely appreciated! Like most people, we were always aware of the infamous Aeron Chair, designed Williams Stumpf & Donald Chadwick, but we wondered, is the greater Modernist and Post-Modernist ethos visible in something as innocuous as office chair design? Is there even a discourse regarding the discipline of office chair design? Surely the answer was yes, but what started out as a comical discussion led us down a truly interesting path. Using Heather Murphy’s great Slate article, The Quest for the Perfect Office Chair, and Jonathan Olivares’ website and book, A Taxonomy of Office Chairs, we compiled the quick graphic below — initially meant for our own edification, we eventually thought, why not post it here. Again, knowing our customers are typically designers, architects, musicians, developers, engineers, and a host of other related trades, we hope it’s of interest to some of you out there. In any event, if you are interested to learn more, the references listed above are truly fascinating, and absolutely feel free to use the image below — it was fun to put together, and we only wish we knew enough to confidently extend it.